action on the input. The trigger switches at different points for positive- and negative-going signals. 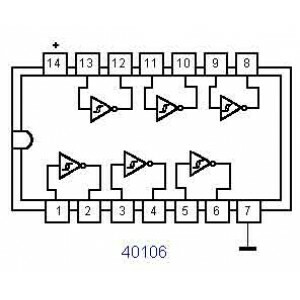 Dual 2-Wide 2-Input AND-OR-Inverter Gate The HCC/HCF4085B contains a pair of AND-ORINVERT gates, ..
CMOS Low-Power Monostable/Astable Multivibrator CD4047B constist of a gatable astable multivibrat..